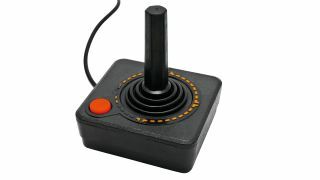 The release of the original console luckily didn't make a Pong like the Atari Lynx did when it was released – which is a good thing as the whole Atari franchise would have gone Kaboom! before it even began. Call that a knife? - Breadmaker Warburtons has decided that there aren't enough gadgets in the world and has created its very own heated knife. Now, this isn't a knife you use to mug someone on a cold winter's day but one that cuts through even the toughest slab of butter. It may be a prototype for now, but this is definitely in the 'gadget you never knew you wanted but need right now' category (note: we may have to find a catchier name for this category). Shirty with Google - There was us thinking that Google blew everyone away with its IO conference this week, which featured sky diving, a new tablet and a Sonos-like streamer. But it seems the search giant dropped the ball by giving out t-shirts that were only made for small men. There were no women's t-shirts in sight and this has upset Alex Maier who attended the event. Google has responded saying it will make sure there are women's sizes in future which is a great bit of quick PR thinking.